For outdoor accessories that completes your seating set without sacrificing durability, look no further. 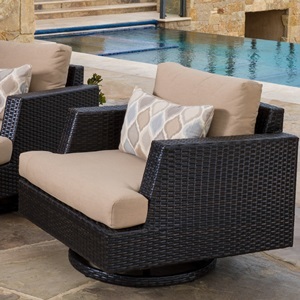 This Portofino Comfort Collection 40-inch square conversation table is an outstanding addition to any outdoor living space, and offers you and your guests convenience and style. This stone top conversation table is the perfect addition to your outdoor living area for style, durability, and convenience.